Moody, perverse, mysterious, dark, dreamy, these are the most popular adjectives associated with the films of David Lynch, which is why it should surprise no one that these descriptions also easily apply to Chrysta Bell’s new album This Train, for which Mr. Lynch served as producer and collaborator. Miss Bell’s sensual and at times ethereal vocal talents are a perfect fit for Lynch’s inspired sonic landscapes and the songs themselves burrow deep beneath your skin at first listen. From the haunting opening title track to the upbeat and groovy closer “The Truth Is“, Bell’s collection of songs is a deeply affecting and unique journey, a roller coaster of dreams that immediately demands repeat rides. Chrysta Bell has long been a favorite chanteuse of mine, both as a solo artist and as the lead singer for the swing group 8 1/2 Souvenirs. Her dynamic phrasing and croon are rare gifts which, when combined with David Lynch’s incomparable talent for excavating the darker parts of our subconscious, results in an intoxicating cocktail of almost spiritual sexuality and profound melancholy. Lynch takes Bell’s vocals to a place previously unheard of from this singer and the result is nothing short of a revelation. The moving prayer-like “Polish Poem” is a definite stand out as is the seductive and dangerous slow dance “Friday Night Flight“, which is as frightening as it is inviting. The album’s first single, “Real Love” is perfect for a late night drive on a lost highway with the wind in your hair and I honestly can’t remember the last time I’ve heard a song as achingly carnal as the track “Swing with Me“, a late night plea that would be impossible for even the strongest of wills to resist. 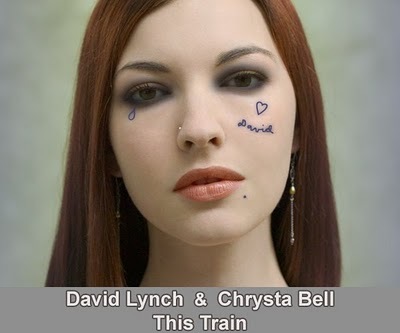 Destined to be included in my top ten favorite albums of 2011, you really should make a point of getting on “This Train” with Chrysta Bell and David Lynch. Here’s the music video for “Real Love” directed by Dutch Rall, with a slight disclaimer I feel obligated to include: Don’t forget to breathe, (Lord knows, I did). Every other year or so people like myself speculate and debate over which U.S. city is responsible for producing the most original and interesting music. 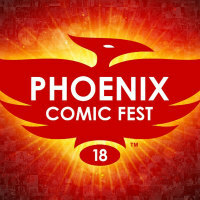 Nashville, Seattle, Detroit, Portland and Austin have all been included in these discussions in recent years but, to my mind, these days the biggest and brightest are coming straight out of Brooklyn. Yeasayer, MGMT, Vampire Weekend, Grizzly Bear, Dirty Projectors and Sleigh Bells are just a few of the names to arrive on the national scene by way of Brooklyn recently. 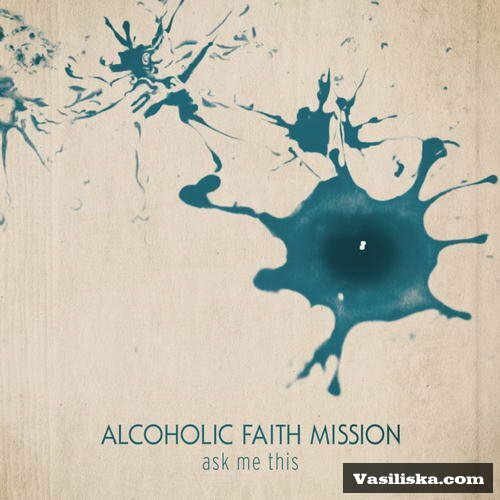 While Alcoholic Faith Mission are well known in the five boroughs of NYC, and seem to be doing quite well overseas, they’ve yet to reach a national audience here in the U.S. That all may change in early 2012 with the stateside release of their new album Ask Me This, due early next year. I will admit, up until hearing this latest collection of tunes I was unfamiliar with Alcoholic Faith Mission but, now that I have, they are firmly on my radar. Like much of what can be considered the “Brooklyn Sound” Ask Me This is as experimental as it is accessible. It’s adventurous pop for the thinking people, delivering strong melodies and gorgeous harmonies while traveling down a musical road that continues to offer interesting twists and turns. 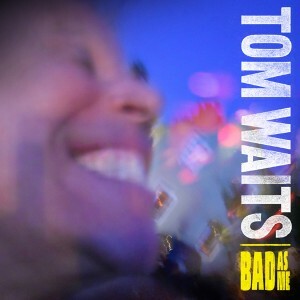 It’s been 7 years since Tom Waits last studio recording and in a year that seems almost anemic with a lack of releases from our musical veterans and icons, Bad As Me is as great as it’s likely to get. I don’t know if any album can actually be good enough to justify a 7 year break but the argument can be made this one comes pretty damn close. Waits has said in recent interviews that his wife and songwriting partner of the last two decades, Kathleen Brennan, was diligent in keeping Tom to a tight four minute maximum on the songs, “get in and get out” was her modus operandi with this new album, the result is 12 brilliant and fresh compositions from the husband and wife songwriting team that stands up to the best of their ever growing catalog of instant standards. “All Aboard“, Waits croaks at the end of the album’s blues driven opening track, “Chicago“, like a possessed conductor on a train headed for parts unknown. The song chugs and churns with the rhythm of a speeding locomotive and promises a trip worthy of the ticket price. No question, Bad As Me is that and so very much more, it’s a long overdue return to the world that only Tom Waits can show us. “Talking at the Same Time” is a mid-tempo groove sung in Tom’s odd and wonderful falsetto that speaks to our modern times where it would seem there’s a lot more talking than listening. The lyrics make you wonder if some of Tom and Kathleen’s off time has included watching a lot of cable news. 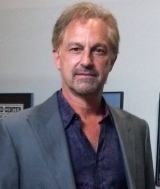 Other stand out tracks include the drunken twist, “Bad As Me“, the late night lover’s plea “Kiss me“, (which comes as close to the territory Waits explored with his beautiful soundtrack to the film One From the Heart since that album’s release), and the devil’s marching military call and response “Hell Broke Luce“. Next to Bob Dylan Waits is one of the most covered composers of his generation and if there’s one tune on this new collection that I expect to be hearing re-interpreted some day soon it’s the wistful gem, “Back in the Crowd“, a perfect song for Roy Orbison if he were still here to record it but, if I had to make a prediction, it will be a woman covering this one and, done right, it will be a heartbreaker. Musician Noam Pikelny is best known for his banjo work with the popular bluegrass group Punch Brothers and was the recipient of the 2010 Steve Martin Prize for Excellence in Banjo and Bluegrass. With his latest release Beat the Devil and Carry a Rail, Pikelny is taking a break from his group efforts and exploring some new musical territory on his own. All I can say is, I sure am glad there are musicians like Noam Pikelny out there keeping this sound and tradition current and vibrant. In Pikelny’s very capable hands, and most importantly fingers, American bluegrass is alive and well and has never sounded better. For his latest release Noam has put together quite a collection of bluegrass notables including Jerry Douglas, Stuart Duncan, Chris Eldridge, & Mark Schatz. Of particular note is the fine fiddle and mandolin work from Tim O’Brien, well known in his own right in the world of traditional bluegrass. The album highlights include the beautiful slow waltz, “The Broken Drought“, the reflective “Day Down“, (which really belongs on a soundtrack for one of these new westerns), “Cluck and Hen” a straight up bluegrass showdown featuring Pikelny and Steve Martin, a really sweet cover of Tom Waits’ “Fish and Bird” featuring the tender vocals of Aoife O’ Donovan and “My Mother Thinks I’m a Lawyer“, a perfect tune for walking and dancing barefoot in the tall grass of Summer. If you’re a fan of contemporary bluegrass you won’t find a better release this year and if you’re one of those people who thinks this music is only for the hillbillies and farmers of the world you’ll really want to check this one out, you’re about to be very surprised at just how wrong you are. As far as I’m concerned this is the real country music of America and Noam Pikelny is the savior of our sound and tradition. Man, I really wanted to love this album. I’ve been a big Chris Isaak fan for many, many years now and have most of his albums included in my overstuffed iPod. The prospect of Isaak doing a covers album featuring songs from some of his biggest influences including Jerry Lee Lewis, Johnny Cash, Elvis Presley and Roy Orbison seems like a no-brainer, right? So? What’s the problem? 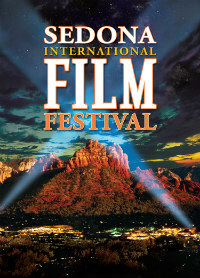 The problem is, it IS a no-brainer in the sense that very little thought went into the production of this embarrassment. 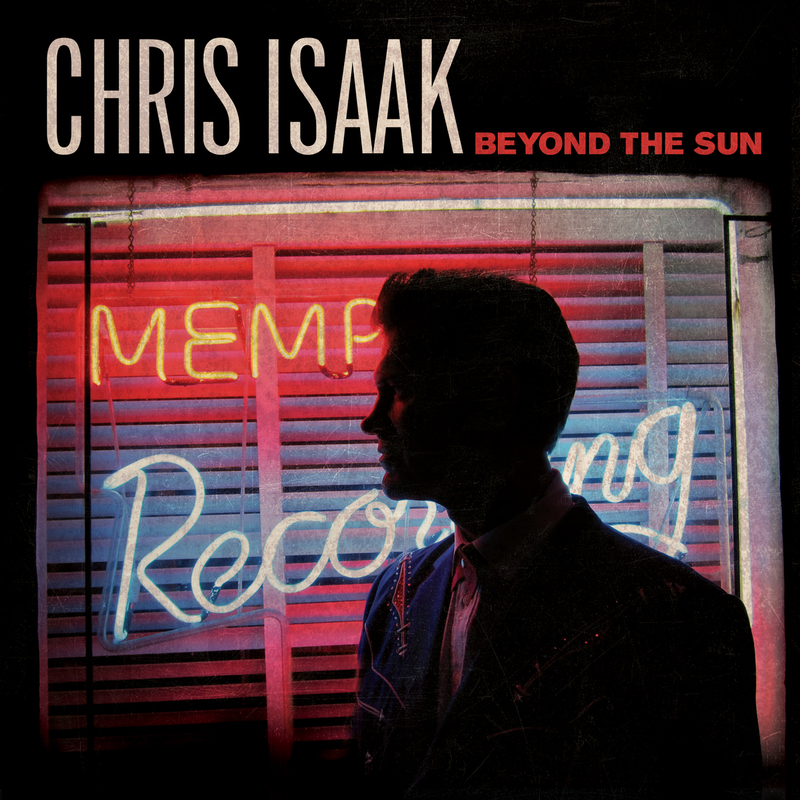 The title alone is a big misnomer, “BEYOND the Sun” implies Isaak is bringing something new to these classic cuts from Memphis’ legendary Sun Studios but, sadly, this is not the case. Not even close. At best this is Chris Isaak singing a collection of karaoke favorites. The vocals are fine, the musicianship is adequate, but it’s a bland affair and a lot of the tunes lose their edge with a studio sound that is way too polished for it’s own good. The entire album sounds like a tribute act performing in a casino on the old Vegas strip. O.K., I guess, for the polyester pantsuit crowd but torturous for anyone who has any kind of respect for good music. The only positive thing about this album is that it will most definitely send music lovers back to the original recordings of these songs, where they can be appreciated for what they truly are all over again. Isaak needs to go back to writing his own tunes and leave the weak covers to Neil Diamond and Barry Manilow. Previous PostThe Pop Blitz for 10-22Next PostLet the Haunting and Howling Begin!